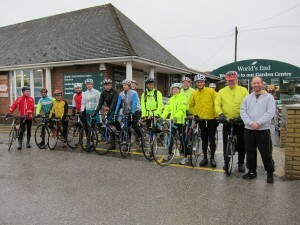 Some 30 riders turned out in very wet and windy conditions this morning to ride a club run following the untimely death this week of Brian Wright, WCC Chairman. 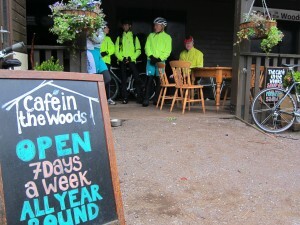 The club rode out to Wendover Woods only to find that the 364 days a year cafe was closed – exceptionally stormy weather had brought trees down and blocked the entrance roads. 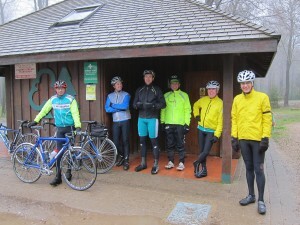 The club rode on to the Worlds End Garden Centre for much needed hot drinks, where we were joined by several riders from the Westerley CC. Earlier many more members and friends had seen the club run off at Denham.